Remember Dragon’s Crown? Well it now has a release date. The last time we wrote anything about Vanillaware’s side-scrolling, beat-em-up thing Dragon’s Crown was in the summer of 2011 during E3. That’s been some time ago, but now we have a release date, which will surely please at least one person named Joe. 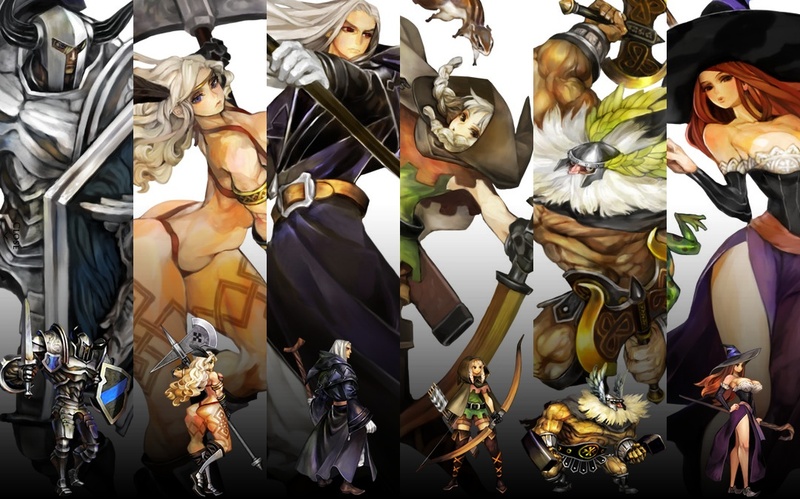 Coming to your PS3 or Vita via ATLUS on August 6 of this year, Dragon’s Crown will feature six RIDICULOUSLY DRAWN character classes for you to choose from as you battle tons of monsters and get loot. The game features 4-player coop and the ability to transfer saves between the PS3 and Vita so you can play on the go. You cannot, however, play with people between platforms, so just stop thinking about how great that would be RIGHT NOW. Also featured are the extremely intricate and beautiful visuals from previous Vanillaware games. So yeah, that’s the whole news. If you can’t wait for the game, you might try to track down other Vanillaware titles like Odin Sphere and Muramasa: The Demon Blade. They are both pretty excellent.